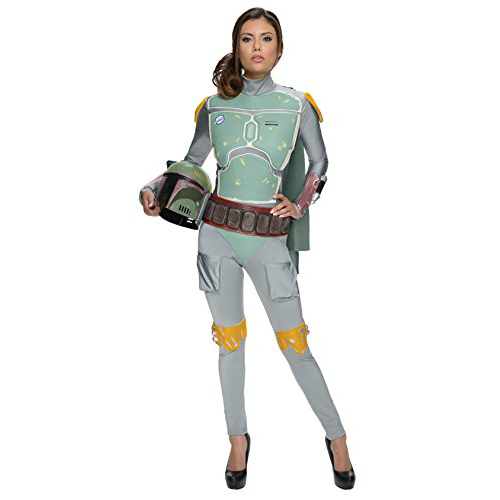 Looking for a cool Star Wars costume that’ll fit your body form? 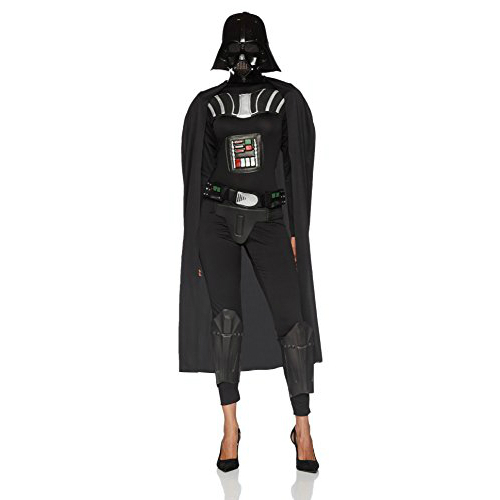 Here we have the Darth Vader Deluxe Costume. It has a detail that fits the films and portrays an accurate approach to villain, Darth Vader, while also taking it’s own stylish spin on it to also appropriate for the female form. This outfit includes a jumpsuit with cape, and molded pieces with a belt and a mask. It may also help to purchase a Darth Mask separately for a higher quality look. What some would consider to be the Han Solo to Luke, Boba Fett has been seen at the equivalent towards Darth Vader. This costume presents a female version of the mysterious gun toting assassin! This costume is great for a Halloween night with other adult friends. Just a warning, this suit will hug your body so it may feel a bit revealing as do most Halloween jumpsuits of this variety! It comes with a jumpsuit that has molded pieces to it, and a helmet/mask. Ah yes, the Stormtrooper. The loyal and stylishly dressed soldier of the Empire! This outfit includes a catsuit so expect some body huggage! On that note, maybe consider wearing something underneath like a black shirt. Also expect to get a lot of praise when wearing this as it’s quite an eye catcher!